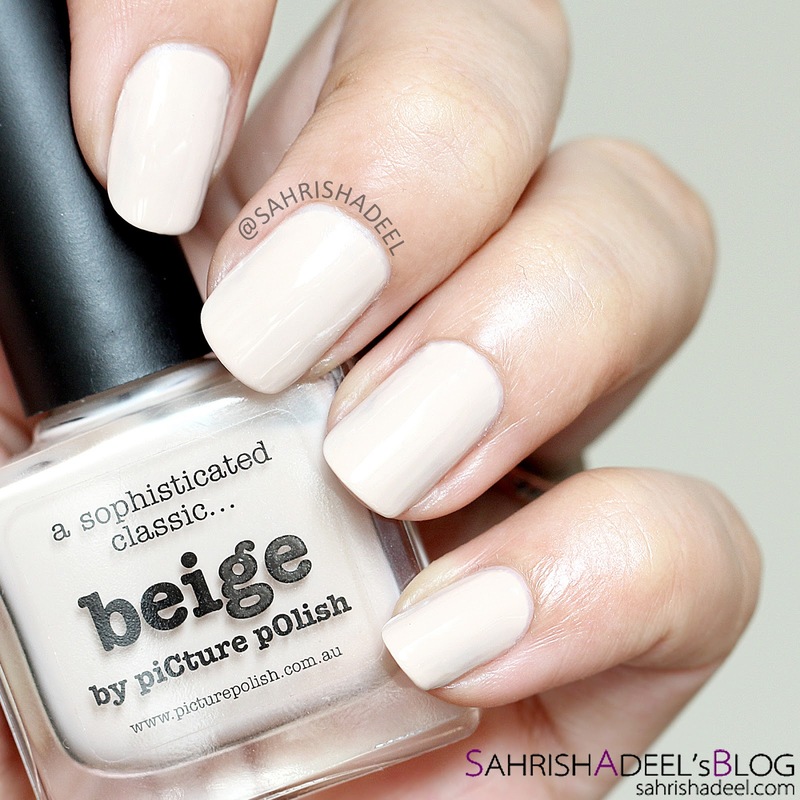 Beige by Picture Polish - Review & Swatch | Sahrish Adeel - Malaysia based Pakistani Beauty & Lifestyle Blogger! I love nail polishes and I am even more in love with Picture Polish's range. The formula and quality never let me down, no matter if it is a mono shade or a more advanced type of polish. Today I am sharing my experience with one of their neutral shades, Biege! They say: 'This creme nail polish is designed, formulated and proudly made in Australia. 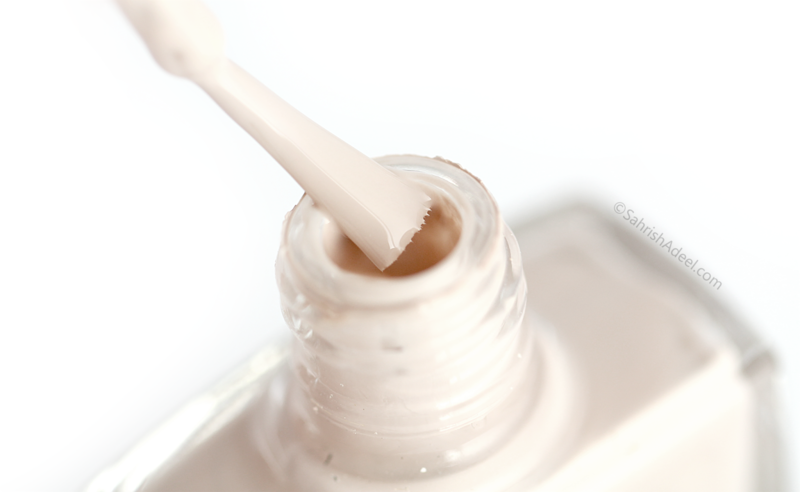 Beige is one of my favorite shades use as a neutral base when I am going to use a glittery top coat on it. It has a cream formula and is really easy to apply. Picture Polish bottles come with a very good applicator brush which makes the application process very easy and precise. This shade looked darker on their website and it really does look a little darker indoors but in bright light and in daylight, it almost looks an off-white shade which makes my fingers look a little darker. I am not bothered by this but some of you might. The formula goes opaque in two thin coats and stays for good 5-7 days before I see some chipping. Drying time for the first layer is really fast but the second coat takes longer to dry. Overall, I like this shade as I always have one of these shades in my collection but since I do not use very light shades too often, I want something that won't dry in a couple of months. With Picture Polish, I literally have polishes from 2012 and they never dried or have changed in terms of formula or application. If you are looking for a neutral shade like Beige, I will recommend buying this. 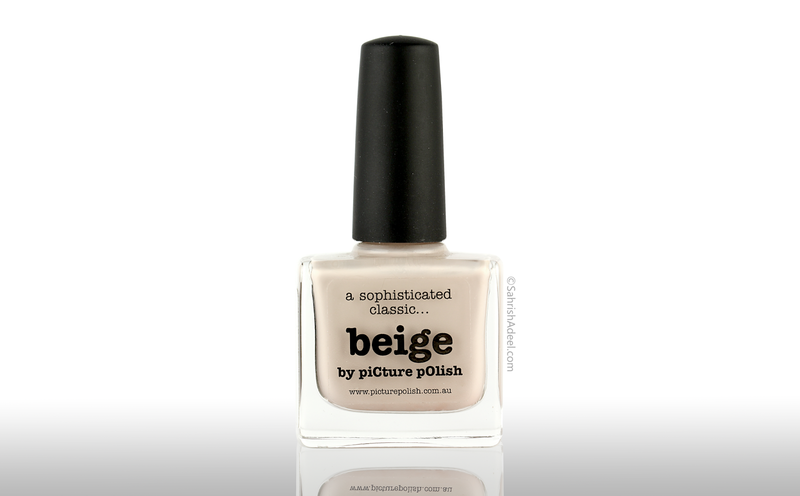 Beige is retailed for AU$12.00 and can be purchased online from Picture Polish's website. They ship worldwide and also offer free international shipping over a certain amount of purchase. Do you own any Picture Polish bottles? If you do, which shade is your favorite and if you do not, which brand is your favorite for nail polishes?